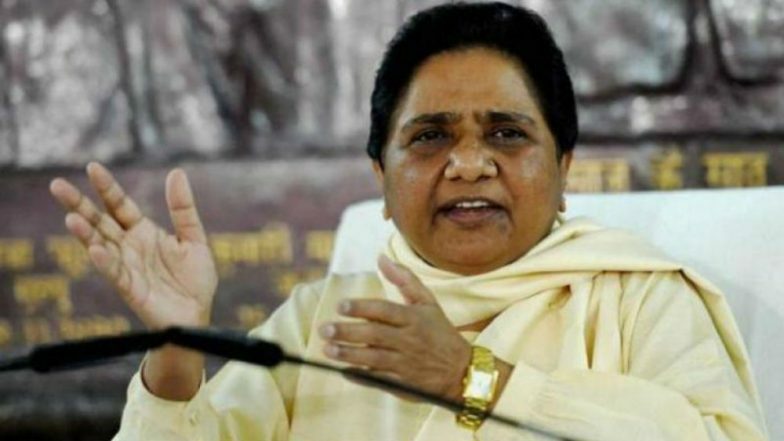 Lucknow, March 22: The Bahujan Samaj Party (BSP) on Friday released the first list of candidates for 2019 Lok Sabha elections. BSP has declared candidates for some Scheduled Caste seats and Saharanpur seat, where, Bharatiya Janata party has fielded Raghav Lakhanpal. The party led by Mayawati has fielded Fazlur Rahman against Lakhanpal. Lok Sabha Elections 2019: Sharad Pawar, Mayawati Not Contesting in Polls Is an Indication of NDA Win, Says Shiv Sena. For the reserved seats, BSP fielded Yogesh Verma from Bulandshahr, Manoj Kumar Soni from Agra and Girish Chandra from Nagina. The part has also fielded Kunwar Danish Ali, Ajit Baliyan, Ruchi Veera from Amroha, Aligarh and Aonla respectively. Earlier today, BSP has released a list of 20-star campaigners for the national polls. The star campaigners list also featured Aakash Anand, Mayawati's nephew. Aakash Anand has been given the task to connect with youngsters. Other big names in the list include R.S. Kushwaha, Mayawati, Satish Chandra Mishra, Raj Kumar Gautam, Naresh Gautam, Kamal Singh Raj, Shamsuddin Rain, Murari Lal Kein, Ranvijay Singh, Dinesh Kazipur, and Janeshwar Prasad.